Henry Marvell Carr RA was born in 1894 in Leeds and lived and worked in London. 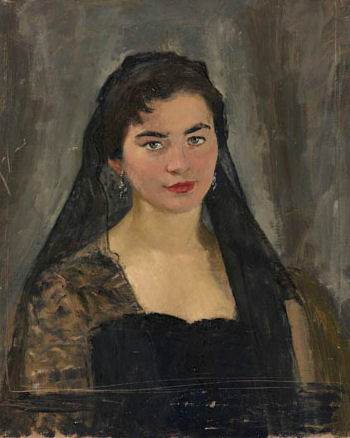 He attended Leeds College of Art and the Royal Academy under William Rothenstein. 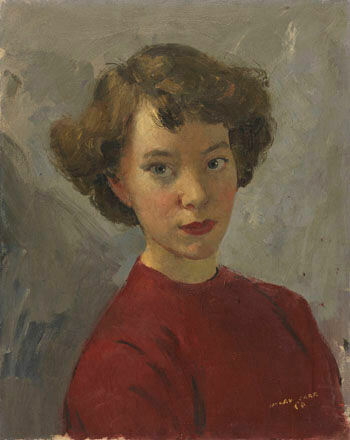 Carr exhibited at the Royal Academy, New English Art Club, The Royal Society of British Artists and The Royal Society of Portrait Painters. 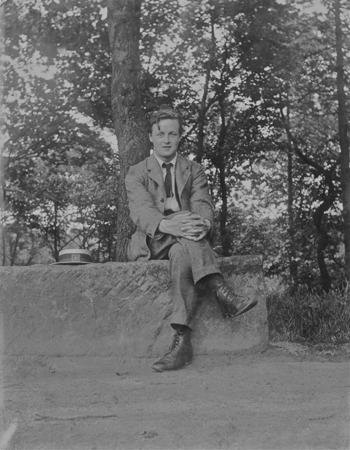 Henry Marvell Carr aged 19 years old. Photographer unknown. By permission of Carr estate. Henry Marvell Carr. Photographer unknown. By permission of Carr estate. A Story From Passchendaele by Henry Marvell Carr from Sweet Pixel on Vimeo. 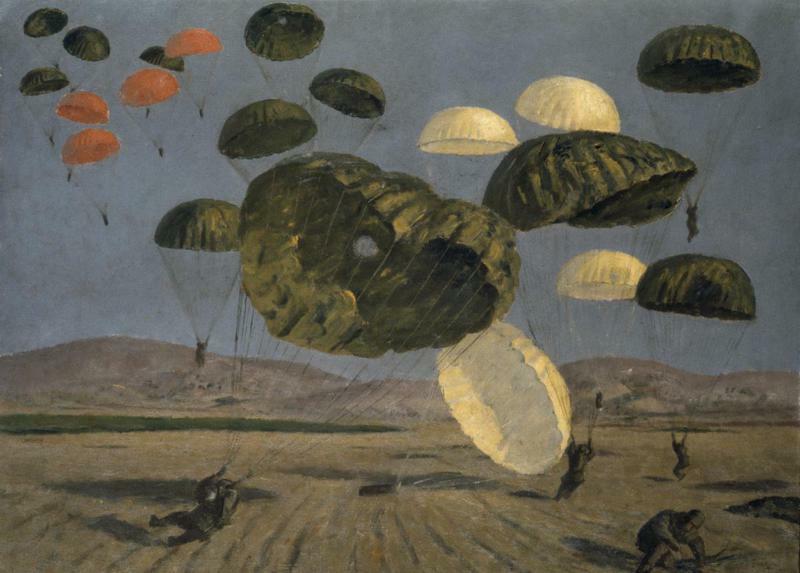 Appointed as an official war artist during World War II, Carr painted scenes of bomb-damaged London and depicted battles and casualties in North Africa and Italy. In 1948 he was elected fellow of the Royal Society of Portrait Painters and awarded the gold model at the Paris Salon in 1956. Between 1957 and 1959 Carr was commisioned to paint a series of 14 murals depicting the stages of textile production for Salts Mill, Saltaire, West Yorkshire. In 1966 he became a full member of the Royal Academy. His work is held in the collections of the Imperial War Museum, National Maritime Museum and the British Government. 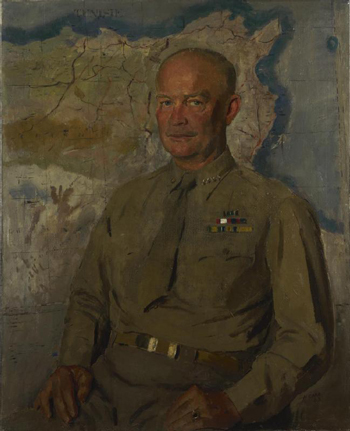 General Eisenhower sitting for Carr, 1943. Photographer unknown. Passed for publication by the Field Press Censor. By permission of Carr estate. Untitled c.1950 by Henry Marvell Carr. Henry Marvell Carr painted at least two Aero Girls portraits, which are now held within the Rowntree & Co. Ltd archive at the Borthwick Institute for Archives. Both paintings are untitled and neither appears to have been published in Rowntree Aero chocolate adverts by the advertising agency J. Walter Thompson (JWT). National Portrait Gallery. 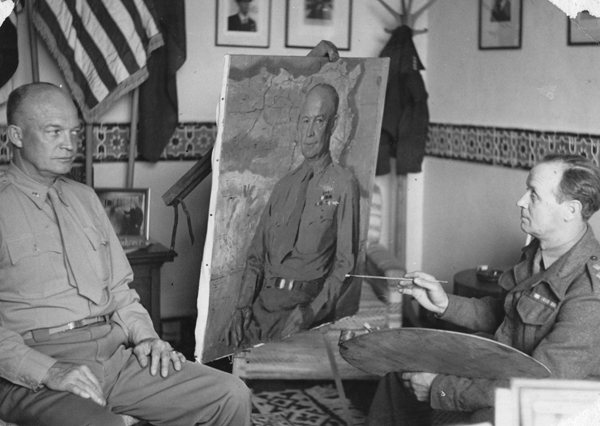 World War II: Official War Artists. Retrieved 2 March 2014. BBC/Public Catalogue Foundation. Henry Marvell Carr. Retrieved 2 March 2014. Ronan Thomas (3 December 2010). 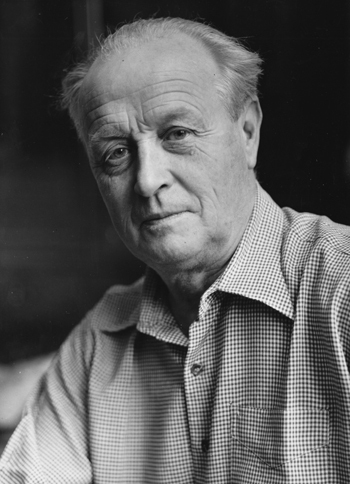 Henry Marvell Carr 1894-1970. 'West End at War'. Retrieved 2 March 2014. Dave Shaw (July 2007). Salt's Textile Production Captured in Paintings the work of Henry Carr. 'Saltaire History Club'. Retrieved 2 March 2014. Imperial War Museum. Imperial War Museum Collection. National Maritime Museum. National Maritime Museum Collection. Government Art Collection. Government Art Collection.